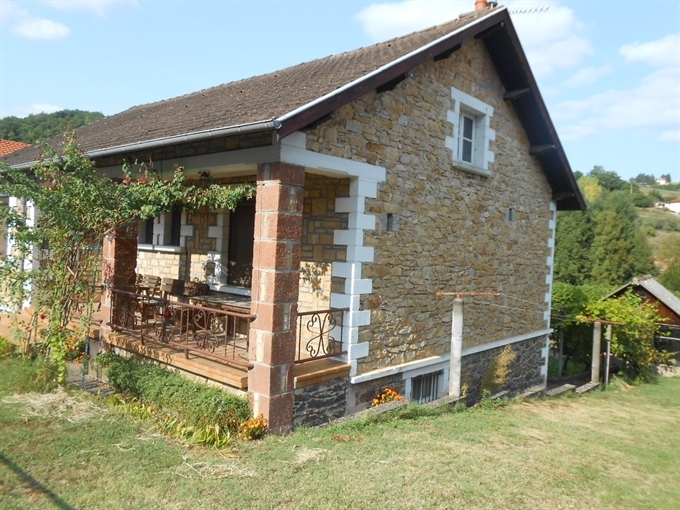 AUBIN - Pretty and partly renovated house (double glazed PVC with electric shutters, recent electrical fittings). It can accommodate a large family immediately, because it has 3 bedrooms, a living room of good size, very bright, an entrance, a kitchen with a small pantry, a small terrace. On the ground floor, a laundry room, a party cellar and a garage 1 car. Outbuildings: a small shed with electricity and garage 1 car also, as well as a Kennel or chicken coop (according to your need). The ground is fully enclosed with lawn and vineyard.